Bring milk to low boil. Blend all other ingredients in food processor. Add boiling milk into processor through feed tube. 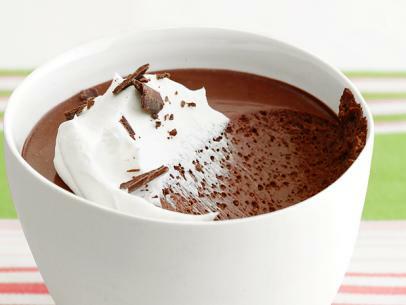 Pour mixture into six 1 cup ramekins or coffee cups. Chill 30 minutes, garnish (see below), & serve. 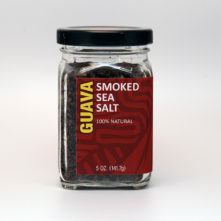 Add pinch of Guava Smoked Salt (3 or 4 crystals) on top for color and taste. Serve a scoop of Vanilla Ice cream on side and salt both! DELICIOUS !! !